We love creating experiences for the entire family! We will create an hour long class catered for your entire family. 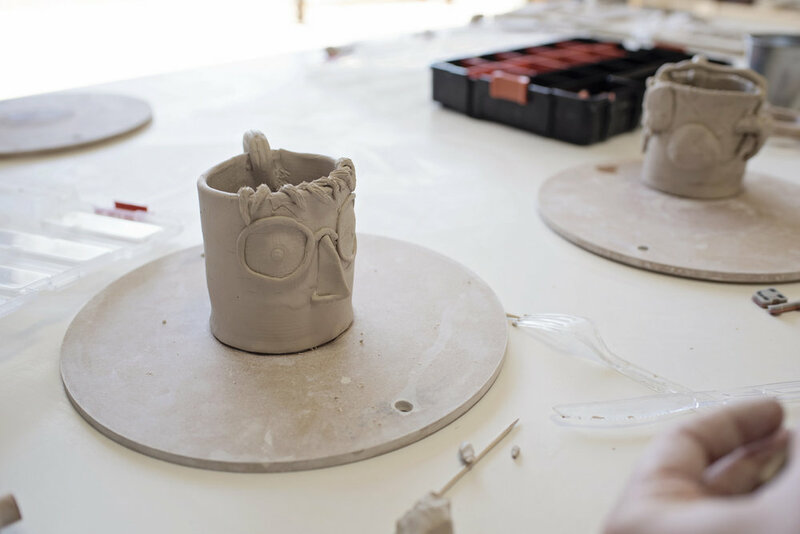 This class will feature a hand built mug that we will show you how to decorate and customize. We welcome kids of all abilities and are able to customize classes to match any needs that your family may have. Were you wanting time on the potter's wheel? Click here to check out our intro class instead! We will complete, fire, and glaze each piece your color of choice. Projects are typically ready for pick up one to two weeks after the class. Ages: Any! We just ask that there be close supervision for any child under 3. Classes can be schedule by appointment. Saturday classes are at 12pm and 4pm. If you want to schedule something during the week, just let us know!